Last Friday, May 9th, we had the honor of being included on the Belles on Wheel bus tour for authors of Gallery Publishing. 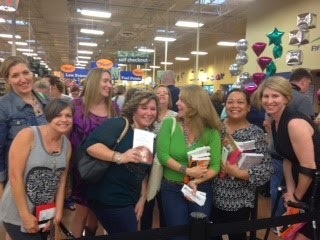 9 authors were on tour, Emma Chase, Alice Clayton, Kresley Cole, Kyra Davis, Lisa Renee Jones, Christina Lauren, Jennifer Probst, S.C. Stephens, Kristen Proby, it was amazing! Getting to Atlanta on a Friday evening in traffic and pouring rain wasn’t so much fun, but the outcome was so worth it! We work with Kristin and Juliana at Gallery Books a lot and finally got to meet them in person. It was so much fun! We love working with them and can’t wait to do more tours in the future! While we were there we walked around and spoke to some of the fans waiting in line for autographs we wanted to know where they were from and which author they were most excited to see. Here are some of their photos and answers. 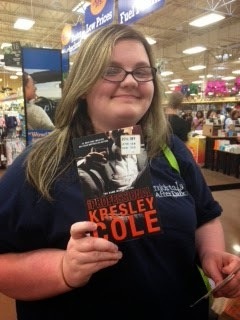 Whitney from Murphy, NC loves Kresley Cole. She said her Mama taught her good taste in books! 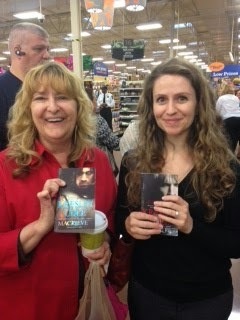 Jessica Geist and Laurel Fleming from Cartersville, GA also love Kresley Cole. They say her characters are amazing and Jessica has been inspired so much by her writing that she is working towards being an author as well. 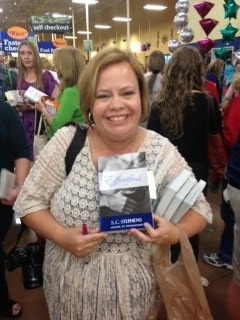 Valerie Cooper from Charlotte, NC love SC Stephens (and Kellan Kyle, obviously!) She fell in love with Thoughtless, even though it goes totally against her values and principals "you are totally sucked in and love it." 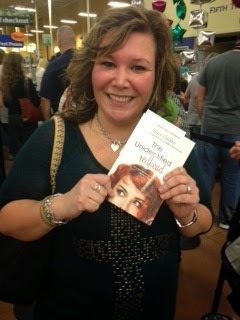 We also met a book club from called SheReader (like them on FB and tell them we sent you!). They love all the authors just like us. On to the interviews! 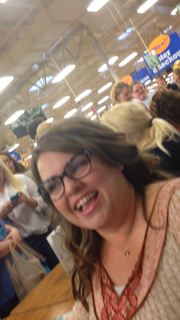 Unfortunately we didn’t have a ton of time to spend with the authors as a result of the rain, traffic issues and another author interview we had arranged across town with Abbi Glines, so we had to rush a little more than we would have liked. But we found out some great things about the authors. We hope you enjoy their answers and getting to know a little more about them as much as we did! Q: Are we really going to have to wait until 2015 for Thoughtful and more Kellan Kyle? Q: Are you finding it more difficult or easier to write from Kellan's POV? 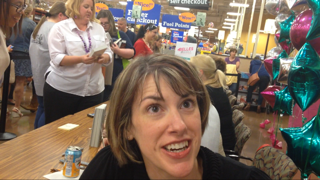 Q: Do you think we will ever get an Anna/Griffin novella or book?? Q: What was the last book you read or are reading? Q: How in the world did you both meet? 2 different women in different states writing NYT best sellers! Whose idea was it to write a novel? Q: How do you write logistically? Separately and then merge? We were fortunate enough to be able to capture our interview with Alice Clayton, so hit play to her what all she had to say!